And North Carolina’s coal ash problem didn’t end hours later, when the billion-dollar, energy juggernaut assured North Carolina officials, incorrectly, that the river – about 70 miles of which was coated in a blue-gray, toxic plume – was no drinking water supply. It persisted through the tardy and dithering denunciations of the Pat McCrory administration, when environmental regulators in the ex-Duke staffer’s employ parsed and negotiated when they should have condemned and demanded. Never forget that, before the 2014 disaster, McCrory officials – downplaying the persistent warnings of an encroaching coal ash disaster – led a galling, Pollyannaish settlement with the company, absent corrective action. 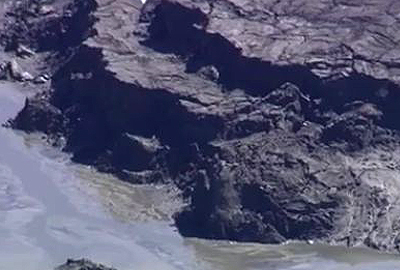 North Carolina’s coal ash problem endured in May 2015, when the company pleaded guilty to nine violations of the federal Clean Water Act, choking down an historic $102 million penalty. All we could count on, it seemed, was the energy company’s penchant to divert and delay, to willfully ignore the documented public health dangers of its practices. Nor did it end in 2018, when federally-ordered groundwater testing unearthed concentrations of toxic chemicals exceeding state and federal standards near four Duke Energy ponds. And, surely, North Carolina’s coal ash problem didn’t end Monday, when North Carolina’s environmental regulators – at long last – ordered the excavation of Duke’s final coal ash impoundments, nine carcinogenic caches spread out over six plants in the state, amid Duke’s fierce objections. The Dan River spill was five years ago, and attorneys for organizations like the Southern Environmental Law Center began their case against Duke sometime in 2008, but to those who demanded justice, it’s as if decades have passed. The N.C. DEQ’s order is, for one moment, an unapologetic triumph for diligent environmental activists, forced to stomach one too many compromises to rectify Duke Energy’s uncompromising litany of wrongs. Excavation will cost time and money, and it poses new environmental hazards, Duke warns. But state regulators were not convinced, Policy Watch’s Lisa Sorg reported Monday. “DEQ rigorously reviewed the proposals, and the science points us clearly to excavation as the only way to protect public health and the environment,” DEQ Secretary Michael Regan said in a statement Monday. “With respect to the final six sites—which NCDEQ has ruled are low-risk—science and engineering support a variety of closure methods including capping in place and hybrid cap-in-place as appropriate solutions that all protect public health and the environment. These closure options are also consistent with how hundreds of other basins around the country are expected to be closed. Who will bear the burden of Duke’s colossal, billion-dollar blunder – shareholders or customers – is the next battle. It will be bruising. It will be torturous. And it may, ultimately, end in a courtroom. Duke Energy is the largest electric utility in the U.S., but for most of the past decade, the company has been ubiquitous for all the wrong reasons, for its willingness to overlook the pressing environmental concerns of coal ash, for its ill-advised assurances that coal ash’s dangers had been over-inflated, and for its hydra-like influence in Raleigh, standing, obscenely, like an informal fourth branch of North Carolina government. Duke’s response to the coal ash crisis is as muddy as the gag-worthy plumes snaking through the Dan River in 2014, but its motivation is a translucent disaster. Nevertheless, to expect a public-minded contrition from a for-profit business like Duke might be foolhardy, like asking a dog to act like a cat. Its representatives will act in the best interest of the business and its shareholders – no matter how many times they assure us otherwise. This is where regulation comes in, where politically scorned bureaucrats and regulators earn their keep. Duke Energy will not – not today, not tomorrow – address its coal ash problem, our coal ash problem, without persistent public pressure, without a media microscope, without a strong regulatory arm. It will not – to its greatest extent – emphasize renewable energy unless it makes business sense. Don’t look for altruism here. The public’s well-being is entrusted chiefly with our regulators and the state leaders who hold sway, North Carolina lawmakers and the governor. For years, Duke Energy – and the regulators who police them – failed North Carolina. Of that, there’s little doubt. Here’s hoping Monday’s stunning news marks a new day. But who’s to say where DEQ’s stand will land us? Another decade or so of pedantic delays? Or a sweeping, sea-change for an industry hopelessly in need of one? If it’s the latter, remember the vital role regulators played the next time politicians, eager to score political points, lambast the “pencil-necks” in bureaucratic offices. The downstream denizens of the Dan River surely won’t.